Anyone who claims that an OBE stands for Other Blighters’ Efforts hasn’t met Gary Crosby. 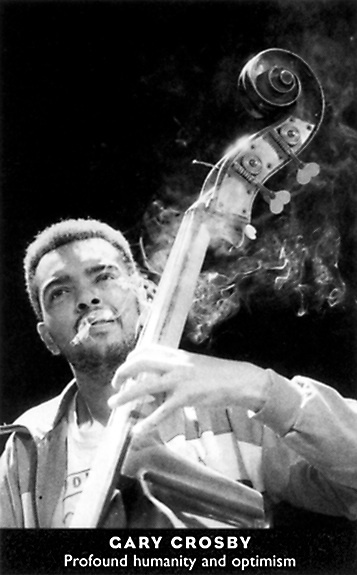 Nobody invests more hands-on time in jazz education than the deep-grooving double-bassist honoured in 2009. A musician who leads by example. Few people have done as much as he has to ensure that British jazz has a viable future through the fostering of new talent. 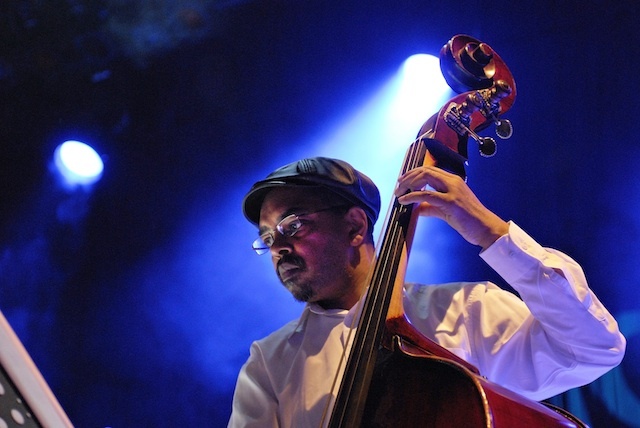 Gary Crosby OBE is a leading jazz double bassist, music arranger and educator in the UK. He is the Founder and Artistic Director of Tomorrow’s Warriors. A founder member of the original Jazz Warriors, Gary Crosby is a professional musician and bandleader, composer/arranger, record producer, company director and facilitator. He leads Gary Crosby’s Nu Troop, Gary Crosby Trio, Guava, Gary Crosby’s Groundation, Jazz Jamaica and Jazz Jamaica All Stars – and has worked with many top international artists. Gary is the nephew of the legendary Jamaican jazz guitarist, Ernest Ranglin. In 1991, Gary established Tomorrow’s Warriors, providing a platform for talented young musicians who wished to pursue a career in jazz. Over the following 13 years, the Tomorrow’s Warriors Jazz Café Jam Session became an institution and developed four generations of Warriors, including Denys Baptiste, J-Life and Soweto Kinch. In 2004, the Tomorrow’s Warriors Jam Session moved to The Spice Of Life in Soho, where it remained active until Summer 2010. In 2009, Tomorrow’s Warriors commenced a residency at Southbank Centre, London and continues to develop and the careers of young musicians through a comprehensive Artist Development Programme at Southbank Centre, London. In 1996, Gary and his partner, Janine Irons MBE FRSA established The Dune Music Company Ltd, a commercial company comprising four divisions: artist management, record label, music publishing, and education. Artists associated with Dune Music include Jazz Jamaica All Stars, Soweto Kinch, Denys Baptiste, Abram Wilson, Andrew McCormack, Empirical, Rhythmica and J-Life. In 1998, Gary Crosby’s Nu Troop won the award for Best International Ensemble at the Jazz à Vienne Concours International d’Orchestres in France. In 2002, Gary won the BBC Radio 3 Jazz Award for Best Band for his 20-piece big band, Jazz Jamaica All Stars. In the same year, he was honoured by the Festival Directorate of the Ocho Rios Jazz Festival, Jamaica, for Consistent Contribution To Music In Jamaica, thereby securing a place in the Jamaica Jazz Hall Of Fame. Gary was awarded the All Party Parliamentary Jazz Award for Best Ensemble in 2006 and, in 2007, he received the BBC Radio Jazz Award for Services to Jazz. In 2009, he was awarded an OBE in the Queen’s Birthday Honours. In 2012, Gary received the All Party Parliamentary Jazz Award for Education. In 2017, Gary was bestowed with high honours from BASCA with a Gold Badge Award. In 2018, Gary received the All Party Parliamentary Jazz Special Award for his Outstanding Contribution to Jazz in the UK. In December 2018, Gary was made an Honorary Fellow of Trinity Laban Conservatoire of Music and Dance in recognition of his Outstanding Contribution to Music Education. From the streets of london sw6, to a musical Jazz career .spanning many years. Giving many the freedom to express self , grow musically in many forms .